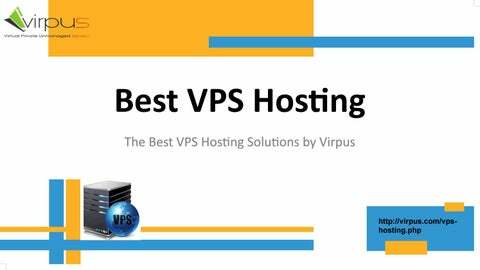 Best VPS Hosting-Virpus.com VPS hosting is an authentic server machine that is partitioned into smaller virtual servers in order t o imitate and virtualize real servers. Each VPS runs its own software, called as an operating system (OS) and in most cases users get full root access to it; they able to install and run most software wi th no restrictions on OS level. The Best VPS hosting Provided a moderately unique environment onward with more control, and t he ability to do more advanced things with your site. A VPS builds an environment similar to that o f a dedicated server, but in a shared hosting situation. In other words, youâ&#x20AC;&#x2122;re still sharing the physi cal server with other publishers, but you have a bit of private space within that shared space.